Includes one pair of patent manmade gogo boots with inside zipper and 3" block heel. The size 6 measures approximately 11.5" at the top and increases .75" incrementally with each size. 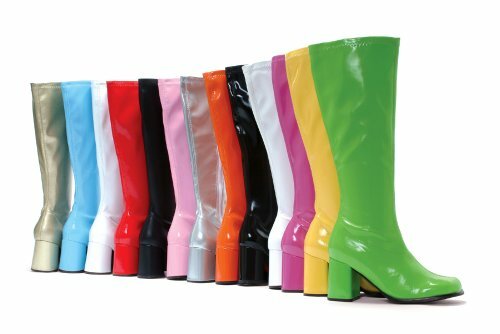 Our gogo boots comes in adult sizes Size 8, Size 10, Size 6, Size 7, Size 9. Heel Height: Approx. 3'' Tall. Stretch Pu or Stretch faux patent upper and side zipper. 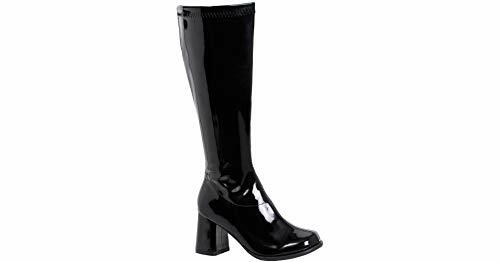 3" Block Heel Wide Calf Stretch Boot. These boots will be the perfect compliment to your Gogo Dancer costume. 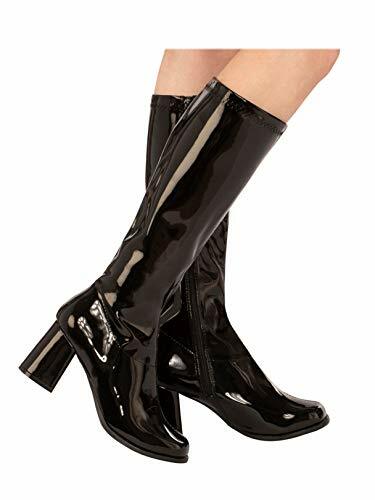 3 inch Gogo Boots Women's Size Shoe With Zipper. 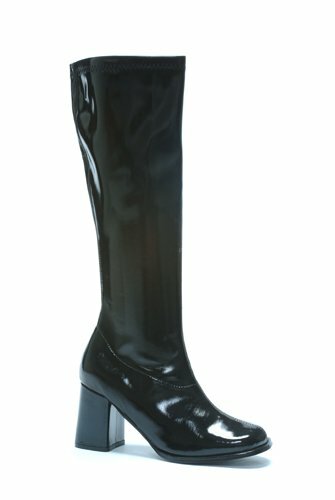 Versatile and classic, these adult black go-go boots are the easy and comfortable way to add a sleek touch to any costume! 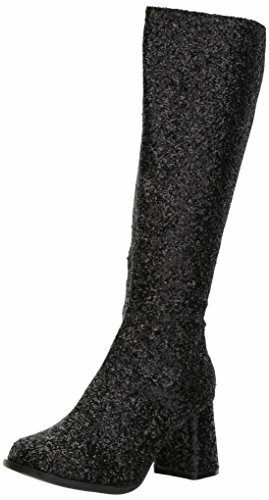 Made of high-quality materials, these stylish knee high boots will be a terrific go to item Halloween or any party occasion year round! Order yours online today! Shaft Height: Approx. 16 3/4'' Tall. Heel Height: Approx. 3'' Tall. Stretch Patent or Stretch Pu upper. Manmade sole. It has a three inch heel, and has a great style.